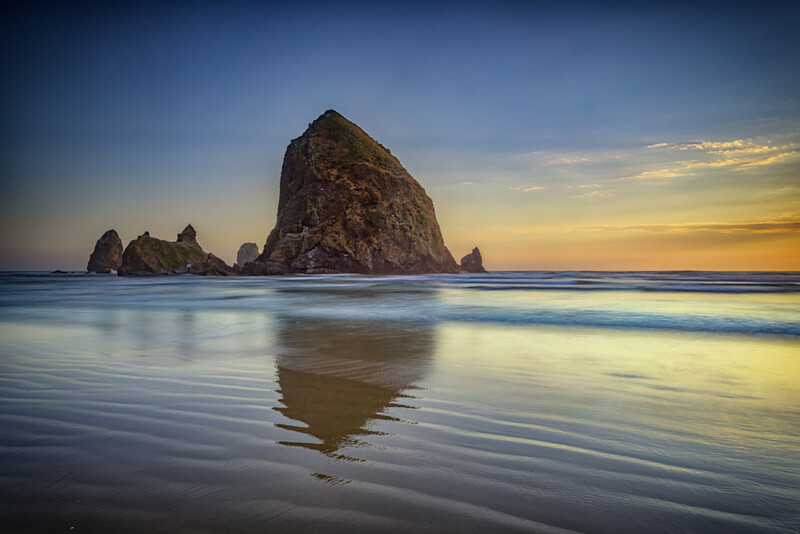 Haystack Rock dominates the landscape at Cannon Beach Oregon. Haystack Rock is a 235-foot sea stack in Cannon Beach, Oregon. It is sometimes claimed locally to be the third-tallest such "intertidal" structure in the world, but there are no official references to support this. Cannon Beach is a city in Clatsop County, Oregon, United States.